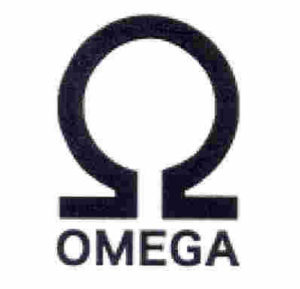 The Japan Patent Office dismissed a trademark opposition claimed by a Swiss luxury watchmaker, OMEGA SA against trademark registration no. 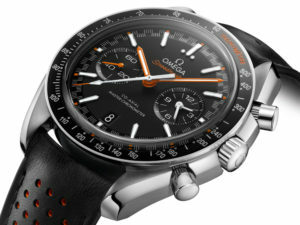 5916814 for the OMEGA mark in class 41 by finding less likelihood of confusion due to remote association between watches and services in class 41. Opposed mark (see below) was filed by a Japanese business entity on April 28, 2016 by designating the services of “fortune-telling; educational and instruction services relating to arts, crafts, sports or general knowledge; providing electronic publications; Art exhibition services; Reference libraries of literature and documentary records; production of videotape film in the field of education, culture, entertainment or sports; photography etc.” in class 41. As a result of substantive examination, the JPO admitted registration on January 27, 2017 and published for registration on February 28, 2017. To oppose against registration, OMEGA SA filed an opposition on April 28, 2017. 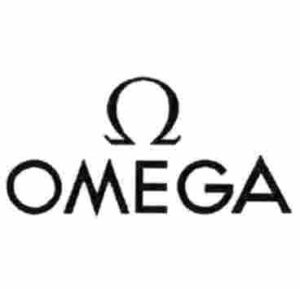 In the opposition brief, OMEGA SA asserted the opposed mark shall be cancelled in violation of Article 4(1)(xv) of the Japan Trademark Law by citing the owned luxury watch brand of OMEGA (see below). Article 4(1)(xv) provides that a mark shall not be registered where it is likely to cause confusion with other business entity’s well-known goods or services, to the benefit of brand owner and users’ benefits. Theoretically, Article 4(1)(xv) is not applicable to the case where a mark in question is objectionable under Article 4(1)(xi), which prohibit a junior mark from registering if it is deemed identical with or similar to any senior registration. Article 4(1)(xv) plays a key role where a junior mark designates remotely associated or dissimilar goods or services with that of a well-known brand business. The Opposition Board admitted similarity of both marks and a remarkable degree of reputation and population of opponent OMEGA mark in relation to watches, however, questioned whether such reputation has prevailed even among relevant consumers of designated services in class 41 as long as opponent failed to produce sufficient evidences regarding the issue. Based on remote association between watched and services designated under the opposed mark, the Board decided that, by addressing less creativity of the OMEGA mark originating from a familiar Greek alphabet even to Japanese with an ordinary care, relevant consumers of designated services in class 41 are unlikely to confuse or misconceive a source of the opposed mark with OMEGA SA or any entity systematically or economically connected with the opponent. 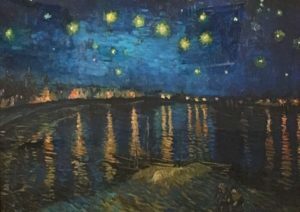 Posted on 2018年3月4日 by Masaki MIKAMI in Article 4(1)(xv), Composite mark, Famous mark, Likelihood of confusion, Opposition, similarity of goods, similarity of service and tagged Article 4(1)(xv), Likelihood of confusion, OMEGA, trademark opposition. After six years of prolonged dispute, Adidas AG could achieve a victory over trademark battle involving famous 3-stripe design. In a recent trademark invalidation appeal, case no. 2016-890047, the Trial Board of Japan Patent Office (JPO) decided in favor of Adidas AG to retroactively null trademark registration no. 5430912 for three lines device mark (see below) due to a likelihood of confusion with Adidas’ famous 3-stripe design. Disputed mark was filed on March 2, 2011 by a Japanese business entity, designating shoes in class 25 and registered on August 5, 2011 (Registration no. 5430912). To oppose the registration, on October 18, 2011, Adidas AG filed an opposition against disputed mark based on Article 43bis of the Trademark. But the Opposition Board of JPO overruled the opposition and decided to admit registration of disputed mark on June 27, 2012. Four years later, Adidas AG filed an invalidation appeal with an attempt to retroactively null disputed mark based on Article 4(1)(xv), 46(1)(i) of the Trademark Law. The Japan Trademark Law provides where a trademark has been registered for five years or more, an invalidation appeal based on Article 4(1)(xv) shall be dismissed unless the trademark was aimed for registration with a fraudulent purpose. It is presumed that the provision urged Adidas to take an invalidation action eventually since the appeal date is just one week before a lapse of five years from registration. Adidas AG repeatedly argued a likelihood of confusion between Adidas’ famous 3-stripe design and disputed mark because of a high degree of popularity and reputation of 3-stripe design as a source indicator of Adidas sportswear and sports shoes, visual resemblance between the marks. Adidas’ 3-stripe design has acquired a substantial degree of reputation well before the filing date of disputed mark as a result of continuous marketing activities in Japan since 1971. Occasionally, Adidas promotes shoes depicting various types of 3-stripe design with a slight modification to length, width, angle, outline or color of the stripe. Disputed mark gives rise to the same visual impression in the mind of consumers with 3-stripe design by taking account of similar graphical representation consisting of three lines in parallel leaning to the left. Difference in detail is negligible since it can be perceived as a variation of Adidas shoes given actual business circumstances. Based on the above findings, the Board concluded that relevant consumers and traders are likely to confuse shoes using disputed mark with Adidas’ famous 3-stripe design or misconceive a source from any entity systematically or economically connected with Adidas AG. Thus, disputed mark shall be invalidated in violation of Article 4(1)(xv) of the Trademark Law. Posted on 2018年2月25日 by Masaki MIKAMI in Article 4(1)(xv), Famous mark, Figurative mark, Invalidation, Likelihood of confusion, Opposition and tagged 3-stripe design, Adidas, Article 4(1)(xv), Invalidation action, Likelihood of confusion, trademark opposition. The Japan Patent Office dismissed a trademark opposition claimed by the U.S. tech giant, Apple Inc. against trademark registration no. 59923763 for word mark “Apple Assist Center” in class 35, 36, and 43 by finding less likelihood of confusion. Opposed mark “Apple Assist Center” was filed by a Japanese business entity on July 22, 2016 by designating the services of “secretary services; telephone answering and message handling services; reception services for visitors” in class 35, “rental of business and commercial premises; management of buildings; providing information in the field of buildings for business and commercial use” in class 36, “rental of conference room; rental of exhibition room” in class 43. As a result of substantive examination, the JPO admitted registration on February 17, 2017 and published for registration on March 21, 2017. To oppose against registration, Apple Inc. filed an opposition on May 17, 2017. 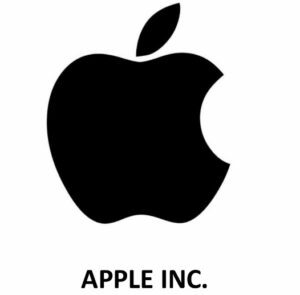 In the opposition brief, Apple Inc. asserted the opposed mark shall be cancelled in violation of Article 4(1)(xv) of the Japan Trademark Law. Article 4(1)(xv) provides that a mark shall not be registered where it is likely to cause confusion with other business entity’s well-known goods or services, to the benefit of brand owner and users’ benefits. Theoretically, Article 4(1)(xv) is applicable to the case where a mark in question designates remotely associated or dissimilar goods or services with that of a well-known brand business. The Opposition Board admitted a remarkable degree of reputation and population of opponent trademark “Apple” in the field of computers, smart phones, audio devices etc., however, gave a negative view in relation to goods and services remotely associated with Apple products by taking account of arguments and evidences Apple Inc. provided during the trial. Besides, in the assessment of mark similarity, the Board found “Apple Assist Center” and “Apple” are dissimilar since they are sufficiently distinguishable in visual, phonetic, and conceptual point of view. The Board considered that the word of “Assist Center” does not immediately give rise to a descriptive meaning in relation to the designated service of class 35, 36, and 43. Given that “Assist Center” is deemed a coined word, it is not permissible to separate a element of “Apple” from the opposed mark. Based on the foregoing, the Board decided that, unless Apple Inc. demonstrates possibility to embark on business related to the designated services and overlapping of consumers between Apple products and the opposed mark, relevant consumers are unlikely to confuse or misconceive a source of the opposed mark with Apple Inc. or any entity systematically or economically connected with the opponent. It surprises me that the Board considered “Assist Center” does not lack distinctiveness in relation to business support services. Posted on 2018年2月4日 by Masaki MIKAMI in alphabetical name, Article 4(1)(xv), Composite mark, Famous mark, Likelihood of confusion, Opposition and tagged Apple, Apple Assist Center, Apple Inc, Article 4(1)(xv), Likelihood of confusion, trademark opposition. In a trademark invalidation appeal, case no. 2017-890017, the Trial Board of Japan Patent Office (JPO) decided in favor of Adidas AG to retroactively null trademark registration no. 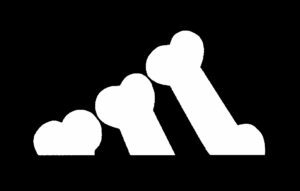 5799460 for three bones device mark (see below) due to a likelihood of confusion with Adidas’ famous 3-stripe design. Disputed mark was filed on May 1, 2015 by a Japanese business entity, designating the goods of clothing for pets in class 18 and registered on October 16, 2015. Subsequently after the registration, Adidas AG filed an opposition against disputed mark on November 26, 2015. Since it ended in vain, Adidas AG challenged inadequacy of the decision and registration by means of invalidation trial. During the invalidation trial, Adidas AG argued a likelihood of confusion between Adidas’ famous 3-stripe design and disputed mark because of a high degree of popularity and reputation of 3-stripe design as a source indicator of Adidas sportswear and sports shoes, visual resemblance between the marks, and close relatedness of its consumers and commodity goods. 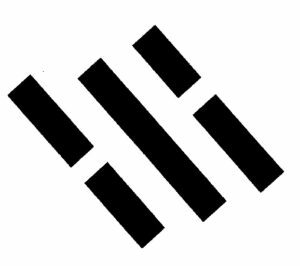 Three bones device mark visually resembles with 3-stripe design by taking account of the same graphical representations allocating three trapezoids in different length in parallel to be seen it constituting a triangle in overall appearance. 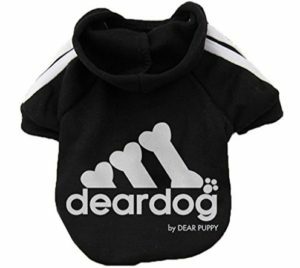 It becomes apparent that distributors of sports gears, apparels, bags, and shoes also deal with clothing for pets nowadays. 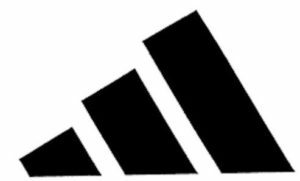 Based on the above findings, the Board concluded that consumers who are accustomed to the circumstance, are likely to confuse clothing for pets using disputed mark with Adidas’ famous 3-stripe design or misconceive a source from any entity systematically or economically connected with Adidas AG. Thus, disputed mark shall be invalidated in violation of Article 4(1)(xv) of the Trademark Law. It should be noteworthy that a decision to dismiss opposition is not appealable under the Japan Trademark Law. If opposed party wants to argue the decision, there is no way other than invalidation trial. Posted on 2018年1月27日 by Masaki MIKAMI in alphabetical name, Article 4(1)(xv), Invalidation, Likelihood of confusion and tagged 3-stripe design, Adidas, invalidation, Likelihood of confusion, three bones. 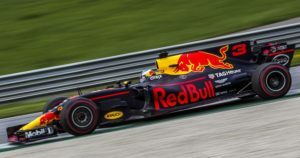 Posted on 2018年1月14日 by Masaki MIKAMI in Article 4(1)(xv), Figurative mark, Invalidation, Likelihood of confusion and tagged IP High Court, Likelihood of confusion, Red Bull. The Opposition Board of Japan Patent Office (JPO) decided to cancel trademark registration no. 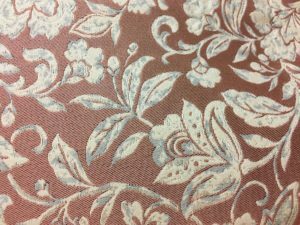 5681437 for word mark “FLORA DANICA” covering various types of bags in class 18, apparels and shoes in class 25 as a consequence of opposition trial raised by ROYAL COPENHAGEN AS, one of Europe’s oldest porcelain manufacturers in Denmark. Opposed mark was filed by a Danish corporation on January 23, 2014. Without receiving any office action from the JPO examiner, it was smoothly granted registration on May 30, 2014. Upon payment of registration fee on June 19, 2014, it was published for opposition on July 29, 2014. 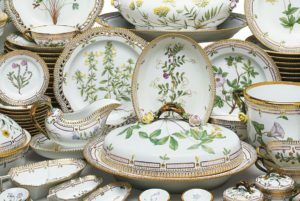 On the very final day of statutory period to file an opposition (two months from the publication provided under Article 43bis of the Trademark Law), ROYAL COPENHAGEN challenged to an opposition disputing validity of opposed mark due to a likelihood of confusion with renowned Flora Danica porcelain, made 1790-1803 at the Royal Copenhagen Porcelain Manufactory, decorated with botanical drawings of Denmark’s flora. The opposition relied on Article 4(1)(xv) of the Trademark Law to prohibit a junior mark likely to cause confusion with other business entity’s well-known goods or services from being registered to the benefit of brand owner and users’ benefits. Trademark Examination Guidelines set forth factors to be taken into consideration in the assessment of a likelihood of confusion under the article. Whether there is any commonality between the consumers of goods, etc. and other actual states of transactions. In the disputed opposition, the Board found that “FLORA DANICA” has acquired a high degree of population and reputation among relevant traders and consumers as a source indicator of ceramic products manufactured by ROYAL COPENHAGEL and remained the status quo continuously. The Board assessed both marks are deemed unquestionably identical or similar. Besides, both opposed goods in classes 18, 25 and ceramic products are all closely related to daily life, and consumers are likely to show strong preference for design and fashion of goods in selection of these goods. ROYAL COPENHAGEN deals with handkerchiefs, scarfs, perfumes, cuffs, wallets, aprons, bags as well. Base on the foregoing, the Board concluded that relevant traders and consumers of the goods in question are likely to confuse or associate the goods using Opposed mark with opponent or any business entity economically or systematically connected with ROYAL COPENHAGEN. Thus, Opposed mark is subject to cancellation due to Article 4(1)(xv) of the Trademark Law. Posted on 2018年1月6日 by Masaki MIKAMI in Article 4(1)(xv), Famous mark, Likelihood of confusion, Opposition and tagged ceramic, Flora Denica, Likelihood of confusion, Royal Copenhagen, trademark opposition. The Japan Patent Office (JPO) has rejected an opposition from Starbucks to trademark registration no. 5897739 for the green-and white “BULL PULU TAPIOCA” concentric circle logo with a puppy white bull dog in the center. Opposed mark (see below) designating goods of tapioca beverages, tapioca fruit juice beverages in class 32 and retail or wholesale services for tapioca beverages, tapioca fruit juice beverages in class 35was applied for registration on May 10, 2016 by a Japanese individual. As a result of substantive examination, JPO granted a registration on October 28, 2016. Subsequently, Starbucks Incorporated, a US coffee chain, filed an opposition based on a conflict with famous Starbucks trademarks. In the opposition, Starbucks alleged violation of Article 4(1)(vii), (xi) and (xv) of the Japan Trademark Law. Article 4(1)(xv) excludes a junior mark which is likely to cause confusion with goods or services belonging to another business entity. The Opposition Board of JPO admitted a high degree of reputation and popularity to the iconic Starbucks logo among relevant consumers at the time of initial filing and registration of the opposed mark. In the meantime, the Board found that both marks are dissimilar due to a distinctive difference in literal elements and design depicted in the center. Besides, by taking account of severe dissimilarity of both marks, the Board denied a likelihood of confusion between the marks as well. 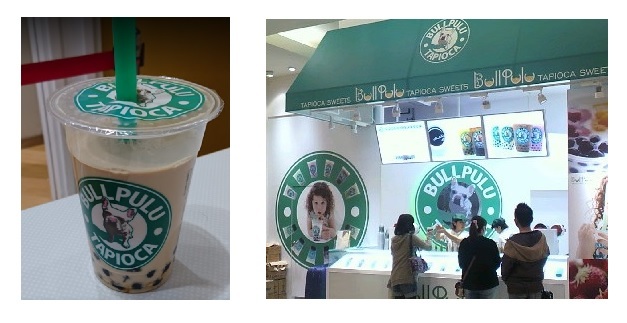 To bolster the public disorder allegation, Starbucks revealed the facts that applicant of the opposed mark was a former CEO of J.J. Co., Ltd., a tapioca drink parlor, and Opposed mark has been used on shop signs and cups for drink managed by J.J. Co., Ltd. in fact (see below). The Board held that such facts are insufficient to conclude Opposed mark may offend public order and morals if registered. 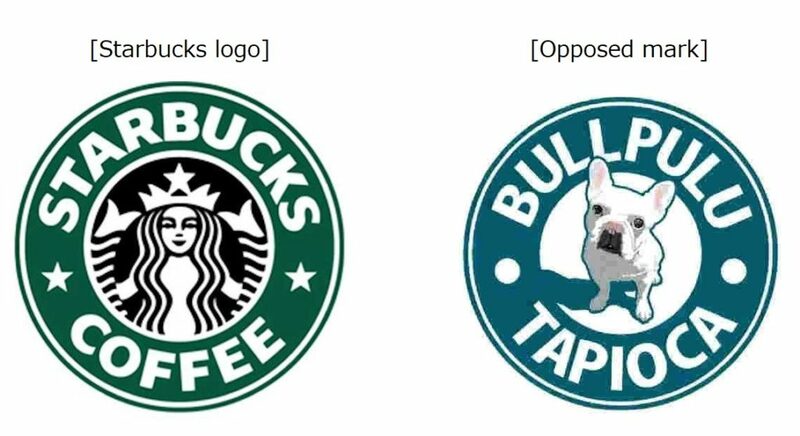 Accordingly, JPO rejected an opposition challenged by Starbucks. Posted on 2017年12月10日 by Masaki MIKAMI in Article 4(1)(vii), Article 4(1)(xi), Article 4(1)(xv), Famous mark, Figurative mark, Likelihood of confusion, Opposition, Violation of public order and tagged Bull Pulu, JPO, opposition, Starbucks, Trademark. The lawsuit was filed by a publisher of the MEN’S CLUB magazine who unsuccessfully challenged to invalidate TM registration no. 5858891 for a word mark “MEN’S CLUB” in standard character covering goods of male cosmetics in class 3 (hereinafter referred to as “Disputed mark”). MEN’S CLUB magazine has been continuously published past six decades since 1965 in Japan. Disputed mark was applied for registration on January 7, 2016, registered on June 17, 2016 without receiving any office action from the Japan Patent Office (JPO) examiner. 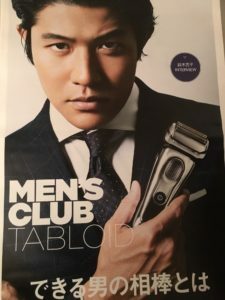 On April 5, 2017, plaintiff demanded for a trial to invalidate disputed mark in violation of Article 4(1)(xv) and (xix) of the Trademark Law by citing MEN’S CLUB brand men’s fashion magazines used by plaintiff. The Trial Board of JPO decided that disputed mark shall neither fall under Article 4(1)(xv) nor 4(1)(xix), and dismissed the invalidation petition entirely [case no. 2016-890063]. In the lawsuit, plaintiff argued the Board misconstrued Article 4(1)(xv), thus erred in judgment to apply the article on the case. Article 4(1)(xv) of the Trademark Law provides that a mark shall not be registered where it is likely to cause confusion with the goods or services pertaining to a business of another entity. Theoretically, Article 4(1)(xv) is applicable to the case where a mark in question designates remotely associated or dissimilar goods or services with that of a well-known brand business. The IP High Court ruled that the Board erred in applying Article 4(1)(xv) based on following reasons. Based on the foregoing and the degree of ordinary care taken by relevant consumers, the court concluded that consumers of male cosmetics would conceive the MEN’S CLUB brand men’s fashion magazine and then associate the cosmetics with goods produced by plaintiff or a business entity who has systematical or economical connection with plaintiff in error. Posted on 2017年11月26日 by Masaki MIKAMI in alphabetical name, Article 4(1)(xix), Article 4(1)(xv), composite, Composite mark, Famous mark, Invalidation, Likelihood of confusion and tagged Invalidation action, IP High Court, Likelihood of confusion, male cosmetics, MEN'S CLUB, men's fashion magazine. The Opposition Board of Japan Patent Office (JPO) held in an opposition filed by Enrico Coveri Società a Responsabilità Limitata (Opponent) that trademark registration no. 5874843 for a word mark “COVERI” (Opposed mark) shall remain as valid as ever and dismissed claims in the opposition entirely. Opposed mark (see below) was applied for registration on November 27, 2015 by designating various kinds of goods in class 25 including apparels and shoes, and published for registration on September 20, 2016without any office action from the JPO examiner. Opponent claimed that the opposed mark “COVERI” shall be cancelled on the basis of Article 4(1)(vii), (viii), (x), (xi), (xv) and (xix) of the Japan Trademark Law by citing senior trademark registrations for word mark “ENRICO COVERI”, a name of the late Italian fashion designer, in class 18, 24 and 25. In the opposition decision, the Board concluded that “ENRICO COVERI” and “COVERI” are both dissimilar in appearance, pronunciation and concept. 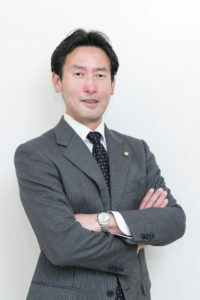 Besides, the Board did not admit a high degree of popularity and recognition to “ENRICO COVERI” among relevant public in Japan because of insufficient evidence to demonstrate amount of sales, number of stores and expenditure for promotion and advertisement (Opponent has just produced some photographs or articles appeared in fashion magazines). Based on the fact finding, the Board concluded that opposed mark was not filed in a malicious intent to do harm to the designer’s fame, and “COVERI” shall not be deemed as an abbreviation of “ENRICO COVERI”. 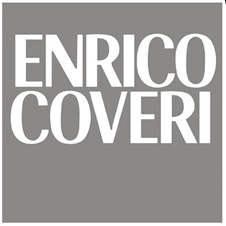 Therefore, there finds less likelihood of confusion between “COVERI” and “ENRICO COVERI” even if both marks are used on apparels or shoes. It is highly advisable to an owner of high-end or luxurious brand, consisting of two or more alphabetical words, to have each word registered as well for the purpose of preventing free-riding and enjoying a broader scope of protection against use by others. Posted on 2017年10月21日 by Masaki MIKAMI in alphabetical name, Article 4(1)(vii), Article 4(1)(viii), Article 4(1)(xi), Article 4(1)(xix), Article 4(1)(xv), Composite mark, Famous mark, Likelihood of confusion, Opposition, Violation of public order and tagged COVERI, ENRICO COVERI, JPO, opposition, Trademark.